These wide navy Bertelles braces/suspenders have plenty going for them. They’re stylish, modern, versatile and top quality. You’ll want to wear them often – for many years to come. These braces/suspenders feature an elasticated strap – 120 cm long and 35 mm wide – that’s made in Belgium, plus a leather badge in the middle of the back embossed with the Bertelles name and logo. 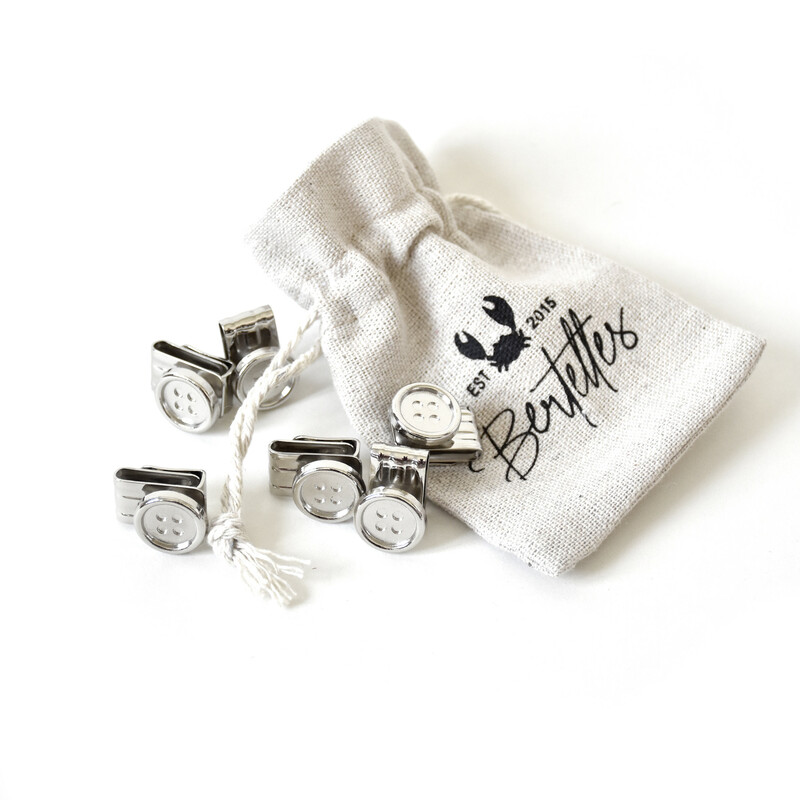 And to top it all off, the clips attach effortlessly to any style of trouser. 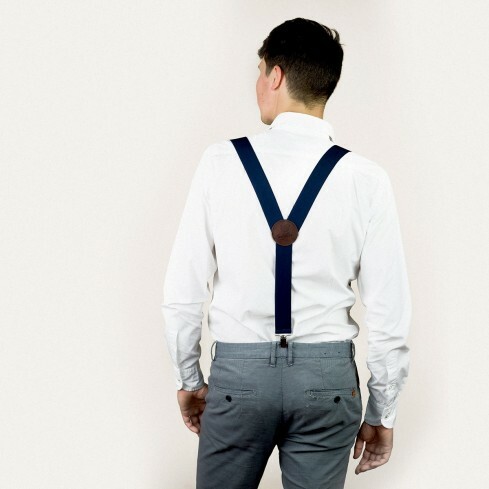 These Bertelles braces/suspenders are ideal for any occasion – with a formal white shirt, over a sky blue striped shirt for a business meeting, or around town with a mottled grey t-shirt.